Christmas is a season of wonder and joy. At least it is supposed to be! For many of us Christmas has become a season of stress and endless to do lists. In my town the Christmas stuff appeared in the stores the day after Halloween. Every year the pace of the season seems to get faster and more frantic. I call it the Christmas craziness. Perhaps it’s time to S-L-O-W Christmas down. In the church we have a wonderful tradition that invites us to do just that. The four-week period leading up to Christmas is the season of Advent. It is a quiet time of waiting that helps us slow down as we prepare to celebrate the coming of the Christ Child. We remember that Jesus came to us through a human family, so many of the traditions involve our families. 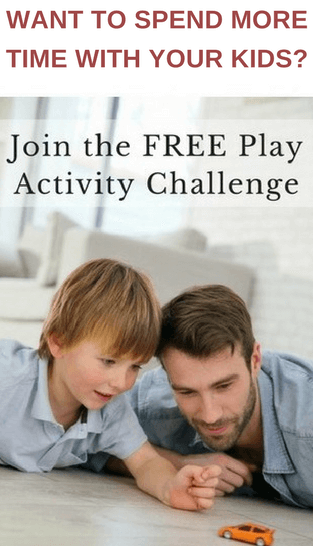 It can be a wonderful way to deepen family connections, make memories, and spend time together. This is easier said than done when extra commitments, overfull schedules, and Christmas advertisements bring noise and distraction into our lives. Is it possible to slow down the season and drown out the commercialized clamor? I believe it is. 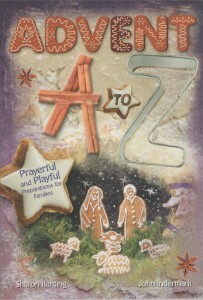 This year I was privileged to co-author an Advent devotional book for families. Beginning December 1 and running through December 26, each day explores an Advent-related word that begins with a successive letter of the alphabet. There is a short reading that is followed by suggestions for activities ranging from games to discussions, crafts to outreach projects, journaling to devotions. Create Advent journals for family members and sit together after supper to write and draw together. Use the journaling prompts provided. Use the discussion questions provided to encourage family members to talk about the theme of the day. This would be a great activity to do as you eat supper. Chose one of the crafts or playful activities to enjoy with your children. These activities are very simple and do not require extensive preparation. Choose one of the outreach projects (also known as an act of kindness). Watch one of the suggested videos or explore the featured websites. Advent A to Z is published by Abingdon Press, and is available here. You can preview the book and look at the first day, so you can see what kind of activities are included. For more information about the book and my co-author please click here. I love the intentionality in the process, the chance the reconnect with the deeper meaning of Christmas, and have fun too. What a great idea for a book. I am going to have to see if I can find it. I would also love to be entered into your draw. Your book sounds perfect for this time of year. It can be so easy to whizz through December, but I love the idea of taking time out to think about the season. Love the idea that it doesn’t stop on 24th too. Something to do on Boxing Day. Although I wouldn’t miss our annual walk! I’m so glad you popped over! December can go by so fast can’t it? It can be such a blessing to take some time and enjoy the season. I love the idea of an annual walk on Boxing Day. Great idea, December is way too fast! Thanks Karen. I’m so glad you popped by. Congratulations, Sharon! Your devotional looks like a wonderful resource for stressed out families. Blessings. Thank you Julie. I hope the book will be a blessing to families at this busy time of year. Daniela recently posted…Can concert traveling be fun for the whole family? So glad I found your comment Daniela. I have entered your name twice! thanks for sharing. Edye I’m so glad you came by 🙂 I have put your name in. Congrats on the book! So exciting! And, it will be a great resource to families! Sheila @ Pennies of Time recently posted…Serving Others: What Can Kids Really Do? Thanks Sheila. I must admit it is exciting! Hi Chelsey, Family Fun Fridays are one of my favorite link ups and I did link up this week. This sounds like a wonderful book. It is so difficult to balance everything during this season, and, as you say, it should be a more reflective time leading up to the celebration of the birth of our Savior. I know many of us get lost in the hustle and bustle and forget, at least at times, what this season is all about. Thanks for the book and for this post. Also, I found you through the Family Friday’s linky party. Hi Sharon and Congratulations on the book, I would love to read it also! I’ve been meaning to google a different scripture for each day of the advent period for our advent calendar this year, but I really like this idea as well. It’s such a good time to stop and reflect on just how important Christmas is, and what we have been given. You are so right! It is important to reflect on those things. 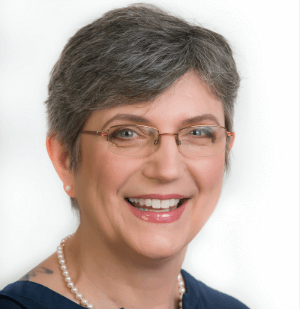 On a completely different subject… I was so glad that you were able to get your son into the ophthalmologist. You must have been so relieved. Congratulation on the book! It sounds wonderful! Can’t wait to check it out! Thanks for linking this up at Makeovers & Motherhood’s Welcome Party Wednesday Link-Up! I love that you’re focusing on the true meaning of Christmas. Featuring at Family Fun Friday! I have heard a lot about Advent this year and its the first time. I don’t celebrate Christmas, but I find this to be super interesting! Thank you so much for stopping by and sharing on Family Friday’s Link-Up Party! Carli recently posted…The BEST Peanut Butter Chocolate Cookies You Will EVER Taste! Your book sounds wonderful Sharon!! I am going to take a look at it on Amazon. Can you please also enter me into your draw?